Neil Whittaker has been in the business for nearly 40 long years, and it is safe to say that he has, in fact, done it all. 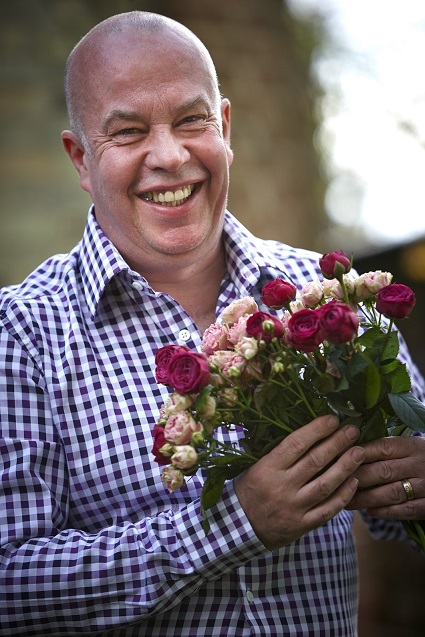 Considered to be the best in Britain, he has styled florals for individuals, events, publications; has had his floral installations displayed in a gallery; he continues to operate floral design schools in locii as far-flung as Manchester (his hometown, where he also runs a ‘flowering’ business) and Shanghai; and he has won laurels at the most prestigious flower competitions in the world…. Now, he has taken it upon himself to revolutionise the market in India — an uphill job but one he is determined to emerge victorious in. The Interflora country head, who seems to have more than 24 hours in his day, chats with Verve about his unending passion for his craft, Interflora’s India plans, the challenges peppering the Indian market and the power of flowers…. 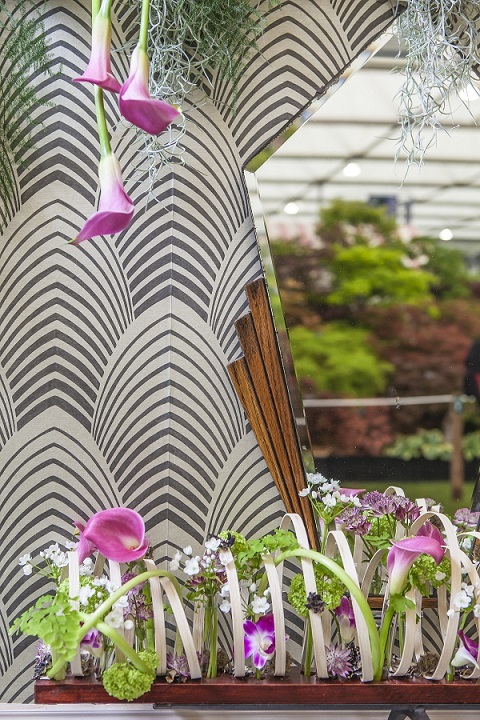 Collaborating with the likes of Vera Wang and Julien MacDonald, Interflora has been successfully navigating the intersection between fashion and florals…. The collaborations with these visionaries were based on a desire to combine top-end design and flower quality to really make an impact. It’s about getting masterminds to work with us to induce new ideas and create something extraordinary. To produce unique floral gift pieces which reflect their signature styles and offer exclusive offerings to our vast and varied customer base, giving them a sense of luxury and exclusivity. Their unique vision resulted in many showstopping floral collections. We would love to collaborate with Indian designers in the near future. Off the top of my head, I do like the glamour of Manish Malhotra and the modern yet deep-rooted-in-India appeal of Sabyasachi. 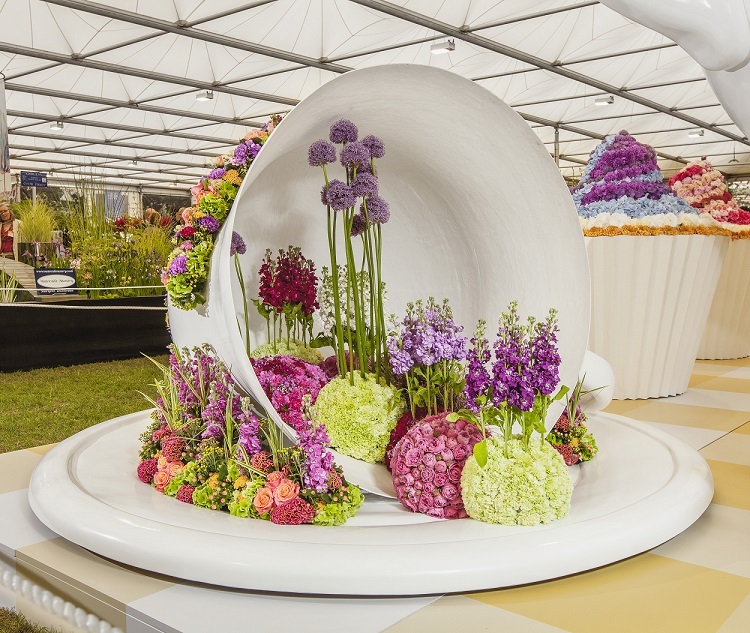 Tell us about Interflora’s seasonal collections that are modelled after fashion seasons. Interflora strives to be true to the current trends in the fashion and lifestyle industries. Seasonal collections are created keeping these in mind. Our catalog is reviewed and created in line with these trends and seasons. Flowers are often treated as a design element in decor and wearable silhouettes, evidently confirming the position of flowers as a favourable arsenal for designers, as seen through time. With our Spring/Summer and Fall/Winter collections, Interflora endeavours to ensure that our flowers continue to complement the upcoming fashion seasons and decor trends. Interflora’s Spring/Summer collection is all about exuberant colour palettes that are reminiscent of the hues that surround us in nature and convey a sense of earthiness, flamboyance and enthusiasm through complementary and analogous colours. What kind of trends can we look forward to in 2018 globally as well as in India? 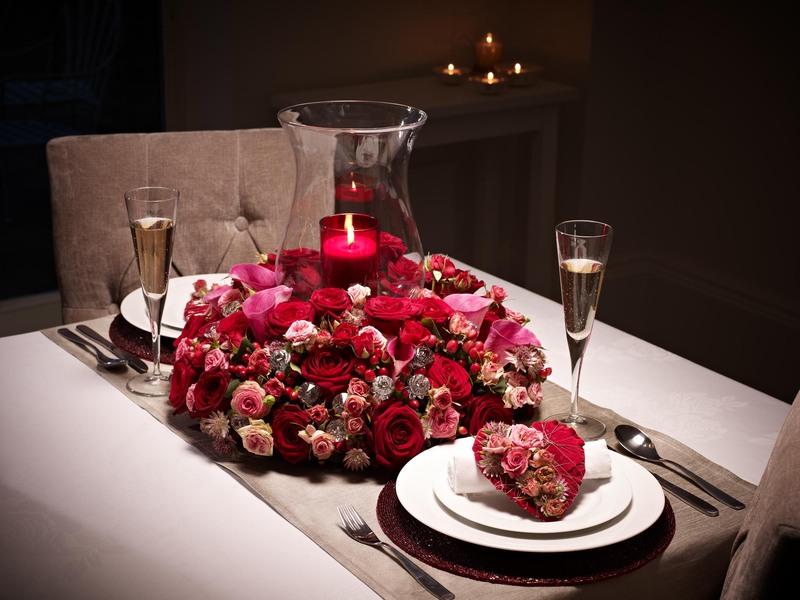 Flower trends are undoubtedly influenced by the changing design and colour trends. 2018 sees a shift from the lively and enigmatic green Pantone colour of 2017 to the dramatically provocative and thoughtful Ultra Violet. It couldn’t get any better, as the purple shade is associated with inspiration, meditation, mindfulness and tranquillity. Flowers like pansies, iris, phlox, hydrangea, vanda orchid, petunia, verbenas, freesia, agapanthus and columbine used with shades of classic whites, greys and beige will provide the right amount of contrast and boldness without being too distracting and loud. Bridal headdresses, handbags, dresses, wrist corsages…what else do you see Interflora experimenting with in terms of wearable florals? I would say Interflora may experiment with floral jewellery that can be worn on the leg, neck or arm. You may even attach these to gowns for extra embellishment or to personalise the look. What are the challenges in the Indian flower market? As a mainstream profession, floristry seems to be a late bloomer in India…. India is lagging behind in the floristry world in some aspects. 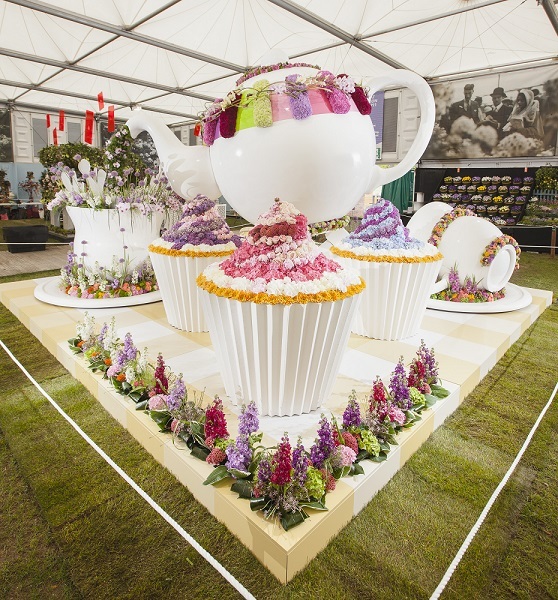 What is needed is government-recognised floristry courses and the acceptance of floristry as an industry and not just a hobby. To mentor aspiring florists, India needs to bring in floristry designers from around the world to teach innovation and widen the imagination of Indian florists. I also found that the choice of flowers and foliages are extremely limited in the Indian market but the good news is that I can see some positive changes geared towards spelling success on the world stage. Interflora India is currently catering to Mumbai and Delhi but we plan to expand the Interflora offering to 10 cities in India within the next one year. The offering covers events, physical stores and modern retail as well. We want to make flowers available at retail outlets for daily consumption, just like any other commodity. Abroad, flowers are commonly used for self-consumption. We just want to create a similar offering in India as well. We have recently launched a kiosk at HyperCity, Malad, Mumbai and we have a store at the Chhatrapati Shivaji International Airport. Going forward, this retail format will be replicated across cities and multiple locations. Tell us more about the Interflora Flower Factory in Mumbai. The Interflora Flower Factory is a one-stop set-up for all our needs, with a cold storage maintaining a temperature of 3 degrees Celsius, which ensures that the flowers remain fresh for a longer time. Every flower stock is hand-conditioned and kept in containers with flower food that maintains the pH balance of the water and provides nutrients to the flowers. 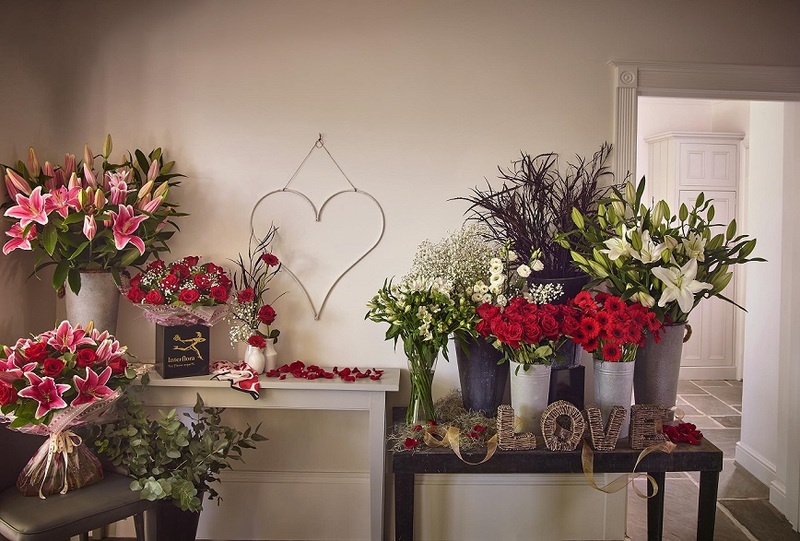 The florists make sure that the finest quality of fresh flowers is selected and delivered with the signature gift box and care-guide kit with flower food. All our expert florists are trained on key brand guidelines — placement of the flower stems in a spiral form to create a perfect standing bouquet, the height of the bouquet, the compactness of the flowers, how the flowers are wrapped, the placement in the gift box, hand-delivery — the last to add a personal touch to the Interflora experience. Eliza in My Fair Lady (1964) was a flower girl who blossomed into a beautiful lady…in music, we have seen a lot of references to flowers and of course in fashion, perfumery and make-up. Why are flowers so important to us? Flowers have played a key role all throughout human history. They are used for worship, in celebration, to accessorise, in food, for funerals and whatnot. However, the most important function that flowers have is their power to convey profound human emotions and thoughts the way no other object can. Whenever your feelings are too intense for words – be it love, grief, happiness, or gratitude – try expressing them through flowers. You will find that it will express your feelings perfectly. Flower decor nowadays is not just limited to looking pretty and beautifying a space. It is well integrated with design and concept. And with the boom of social media it is used to create Instagrammable movements. Interflora will soon turn 100…any plans to reinvent itself or celebrate? There will surely be a celebration. It’s a perfect time to look back and celebrate our journey. As for reinventing, that is always happening. Change is constant and we have grown and excelled for 100 years, with a presence in nearly 140 countries, because we are constantly reinventing ourselves and pushing the boundaries, alongside staying true to our roots and legacy. What is the price range at Interflora India and what is the 7-day guide all about? The price range at Interflora India starts from 1,000 rupees and goes up to 5,000 for the luxury collection. Orders can be placed within India – or sent from India to anywhere in the world through our website. As the largest and longest-serving international flower delivery network, you can rely on us to make your loved ones feel special, wherever they are. The 7-day guide is a care guide with tips on how to keep the flowers fresh for seven days or more, along with the instructions on how to use the flower food sachets that come along with every bouquet. It also talks about the precautions you need for different types of flowers. Why are there no India-related categories on the site? The current product lines (Hand-tied Bouquets, Flowers in Vase, Flower Arrangements, Luxury Flowers) you see online are designed exclusively for India. You will see flowers for popular occasions like anniversary, birthdays, etc. As we move forward in the year you will see collection catering to specific Indian festivals like Holi, Rakhi, Diwali, etc. Along with these, collections catering to Valentine’s Day (Roses, Hand-tied Bouquets and Imported Flowers) are up for grabs right now. Flowers catering to weddings, along with our floral jewellery, will soon be on their way. With our expansion plans on the horizon for the Indian audience, we see numerous possibilities in the extravagant wedding planning space. In India, people love to celebrate weddings in a grand manner and with our collection of luxury flowers from across the globe, we ensure that the celebrations get the right touch of glamour. Tell us about your biggest large-scale project abroad and in India. 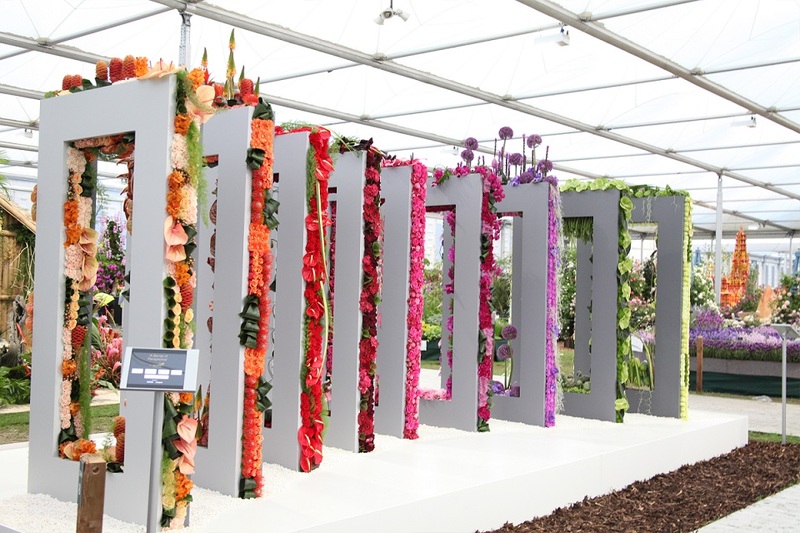 We participate in the Chelsea Flower Show every year, one of the highlights for us. The design/execution process is a 12-month exercise. Apart from that, Christmas and Valentine’s Day are the biggest occasions for us abroad. We have worked closely on several of the Alex Ferguson charity events. As for India, it’s too soon to say since we have just started operations here in October 2017. However, we are looking forward to doing some great work in terms of wedding decor and floral design this year. We have done the wedding decor for fashion influencer Summiyya Patni (of House of Misu) and a few more that can’t be disclosed. Every client and every project is different yet our modus operandi has followed a well-organised path that enables our in-house team to truly understand and visualise the outcome a client is looking for. After extensive research, we narrow down the selection of colours, theme, flowers, arrangements and the look and feel of the final outcome, which is then followed by a detailed presentation and back-and-forth communications, allowing us to finalise the products as per the need and preference of our client. 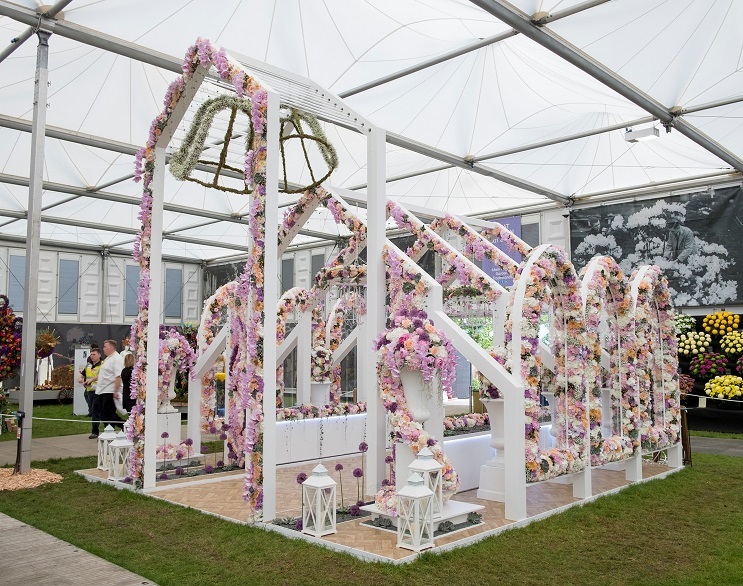 Post client approval, our products (flowers) go under the scrutiny of our in-house designers and stylists at multiple levels, which then help shape the quality Interflora reflects, hence leaving a memorable impression altogether.